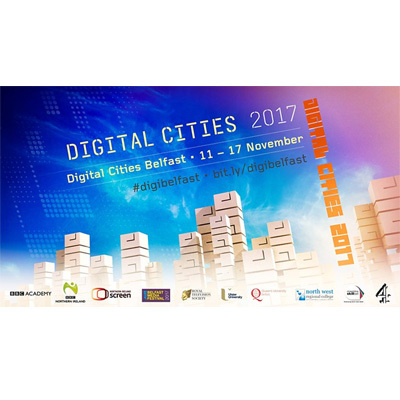 As part of BBC Digital Cities week, Northern Ireland Screen is hosting a hackathon on Saturday 11th November from 10am to Sunday 12th November 8pm, to be held in the Animation Labs at the Belfast Campus of Ulster University. Aimed at bringing the screen industries and the tech community together to develop innovative new games, immersive and interactive experiences across all platforms, participants will be able to build teams, broaden their network of entrepreneurs and mentors and establish long term collaboration opportunities across the sectors. During the hackathon, teams will have the opportunity to a select from a number of themed toolkits provided by industry partners and over the course of 36 hours prove their concept by building a prototype while figuring out their audience, pricing structure and how to promote their product. Throughout the weekend participants will have access to industry feedback, mentors and lightening talks to support the development of their ideas and with the most viable projects being selected to be showcased at events throughout the rest of the Digital Cities Belfast week. It is intended that teams that have commercially viable projects that can contribute to a sustainable screen industry will be supported in their entrepreneurial journey in bringing their project to market through introductions to mentors, commissioners and financiers. The weekend aims to encompass a diverse range of backgrounds and skills, at all levels and prove that entrepreneurship in the digital media sector is a viable option for anyone; therefore, participants from tech and non-tech backgrounds, students to industry veterans are highly encouraged to contribute their unique talents and perspectives. Click here to register for the Hackathon. Places are limited and will be allocated on a first come first served basis, please register early to avoid disappointment. Registration will close on Wednesday 8th November to ensure access to facilities at Ulster University. Participants are encouraged to participate in the #hackthescreen channel on the NI Tech & Design Slack via https://nitech.herokuapp.com/ to identify potential collaborators.